How do local community perceive pollution risk and social problems in abandoned areas? Which factors affect these risk perceptions? Among several factors affecting environmental perceptions, familiarity to places has long been known to positively affect landscape perception, but is this also true for abandoned area with scruffy vegetation and industrial remnants? Will long-term residents eventually adapt to and accept these neglected landscapes? In the past, efforts have largely been devoted to the cleanup of large, highly polluted areas. This left many smaller, less polluted sites, often in urban or suburban areas, relatively neglected. These areas, which typically consist of small abandoned industrial and commercial sites and vacant lots in neighborhoods, are problematic since people living nearby continue to suffer from urban blight. Recently, there has been a shift in the focus of brownfield programs from highly polluted post-industrial cleanup to local brownfield reuse. In this new environment, a participatory planning process that engages the community seems to have become more important. 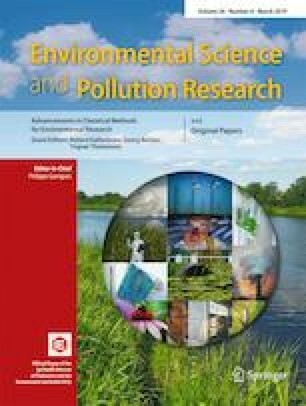 In order to better understand factors affecting community people’s risk perception and effectively engage community support for the better management of derelict sites, this study investigated the factors on local community perceptions of abandoned landscapes including the effect of familiarity (the length of residency) and other sociodemographic (gender and age). For the study, the 200 study participants in eight neighborhoods along the Rail Corridor Revitalization Project in the city of Roanoke, VA, were asked to participate in survey and evaluate scenes of three types of abandoned landscapes focusing on two aspects, preference and pollution concerns. The results of scene ratings showed that lower scene preferences were associated with scene concerns related to higher pollution. However, although age and gender were associated with participants’ preference ratings and attitudes toward social problems and pollution, there was no significant effect for the length of residency.